The engaging tourist destination of Tenerife offers a wide range of activities suitable for all ages. The Canary Islands are famous for their beauty, allowing you to discover attractive coastline and historic places through many comprehensive guided tours. More so, you can set off on excursions that will reveal rich marine life around the islands. If you prefer to remain in Tenerife, however, city tours, visits to amusement parks and tours introducing rich cultural heritage and gastronomy are always the right thing to do. Adventurous tours, such as paragliding and mountain hikes are also available, as well as biking tours that will lead you through the amazing nature. This is a panoramic sightseeing tour of Mount Teide, the highest mountain in Spain. A chance to observe volcanic formations and landscapes of immense beauty. An opportunity to take a hike of the Mount Teide National Park. 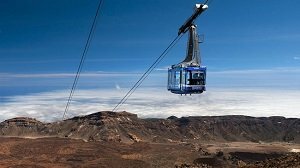 Take a cable car ride near the summit of Mount Teide. Take a hike once you get there. Enjoy exploring vantage points and take attractive photos. The sightseeing package includes priority tickets for the 2-way cable car ride. Most travelers enjoyed extraordinary views from Mount Teide. For the most part, they are satisfied with the service. This tour is especially suitable for hikers and passionate photographs. The activity is ideal for all ages unless you have health issues. 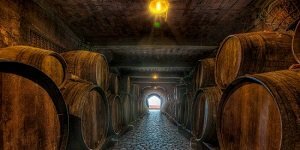 An excursion that introduces landscapes of Tenerife, the island's wines and gastronomy. A tour of some well-reputed wineries of this renowned wine-producing region of Spain. Sample some local wines and dishes. Have an introduction of wines produced on Tenerife Island. Tour some noteworthy places on the island. Pickup service from specified resorts. Tastings and 4-course lunch at a wine estate. Tourists that took part in this gastronomic tour liked the experience. This activity is suitable for all ages. People interested in history, wines and cuisine enjoy the guided tour the most. A visit to the amusement Loro Park in Tenerife. This themed area offers various shows performed by whales, dolphins and other marine creatures. Siam Park offers various adventurous activities. Enjoy shows performed by Orcas and dolphins at the Loro Park. Take entertaining rides at the Siam Park. Meet the wildlife native to different regions of the world. Admission to two popular themed parks in Tenerife. For the most part, tourists enjoyed performances, entertainment and a journey through different habitats. 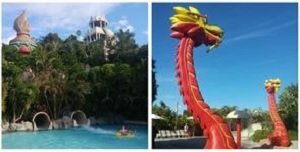 The visit to Loro Park and Siam Park is the right activity for both adults and children. Whether you are an adventurer, a scholar or just look for an entertainment, you should visit these parks. This is a journey to medieval Europe that was ruled by knights. An entertaining overview of how people used to spend time during the Middle Ages. Chivalry tournaments and competitions brought to light. 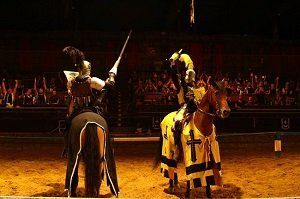 Enjoy jousting competitions and fights. Have a pleasure to explore the fortification. Transfer by a coach is part of the service. Period banquet and knight games. The biggest number of participants enjoyed entertaining performances. While some people believe that the activity is suitable for children the most, others claim that adults also enjoy this activity. The medieval show caters to all ages. In short, this type of activity is ideal for history buffs, gourmands and fans of medieval architecture. A pleasant cruise around Tenerife Island with marine life spotting activities. A unique experience involving diving among the rich marine life. Observe curious dolphins and whales that won't hesitate to get near your boat. Explore fishes, turtles and other sea creatures while diving. Enjoy delicious beverages and snacks on board the vessel. Diving equipment for exploring the sea bed around Tenerife. Complimentary snacks, drinks and refreshments. Poeple that took part on this cruise have a high opinion of it. They are quite delighted with the service and sea life observing activities. This activity is suitable for everyone, but in particular for adventurers, naturalists and fans of unique seaside activities. A visit to the renowned solar observational facility in the world. A story about how scientists examine the space. Discover how a work day of people employed here looks like. Have a unique experience while gazing through a telescope at the sun. Discover how scientists observe and examine the universe. Learn about astrophysics and explore the scientific facility. A ticket to the observatory on Mount Teide. 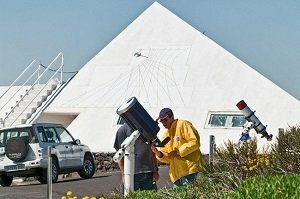 A guided tour of the Mount Teide's Observatory. Tourists that posted reviews have a high opinion of this educational activity. Most of them describe the experience like "very interesting," "amazing" and "fantastic." This tour is suitable for everyone, but especially for people curious about our world and the one beyond. An organized hiking tour of Mount Teide. An opportunity to examine beautiful landscapes on your way up from the cable car. 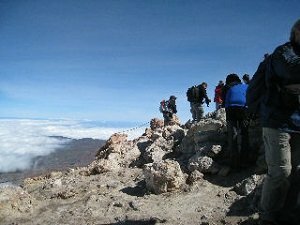 A chance to see Tenerife and other Canary Islands from the summit of the highest mountain in Spain. Cover the ground from the landing point of the cable car to Mount Teide's summit on foot. See petrified lava rivers and various formations on your way up. Tourists have a very high opinion of the hiking tour on Mount Teide. They have enjoyed observing the island and its surrounding area from the highest vantage point in Spain. The tour is suitable for everyone with moderate fitness abilities. 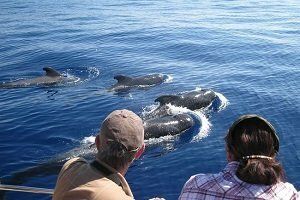 A whale- and dolphin-watching excursion around Tenerife Island. A chance to take a swim in a gorgeous environment with the sea life. Take a close look at sea mammals from a short distance. Benefit of extraordinary photo opportunities. Swim in the beautiful waters of Tenerife and admire the coastline. Drinks and snacks on board the boat. Most travelers spoke highly of this entertaining activity. They also appreciated offered refreshments. Examining the marine life in their habitat is a great activity for anyone. 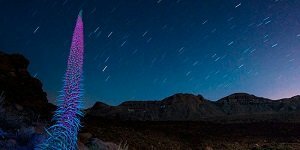 A romantic, stargazing experience from Mount Teide. A great opportunity to examine the night sky from a point unhindered by lights and pollution. A dining experience under the bright night sky. Receive a guided overview of the stars and celestial bodies. Have a delicious dinner on Mount Teide. Experience the sunset at one of the best places in Europe. People who booked this tour had a memorable experience. They enjoyed examining the night sky over Tenerife and learned a lot about it. If you consider yourself a romantic, you can't make a mistake by booking this activity. A walking tour through the magnificent environment of the Masca Gorge. An opportunity to discover the wildlife living there. 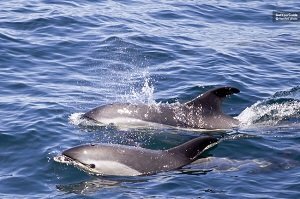 A chance to spot sea mammals during a return boat ride. Enjoy sightseeing of the Masca Gorge and its flora. Swim in the waters of a secluded beach. Take a boat ride to return to your accommodation. Small quantities of fruits, snacks and water. Transfers from specified areas on Tenerife. They were glad for the opportunity to discover such a beautiful natural environment. They also liked to observe local plants. The hiking trail is suitable for everyone, including young children. An entertaining tour of the Mount Teide National Park and an attractive Masca region. Getting around by a jeep. A discovery tour of photogenic landscapes, unique settlements and scenic places. See regions shaped by volcanic eruptions. Get yourself acquainted with scenic landscapes and beautiful flora. See interesting places, such as Spain's highest village. Tour on board a jeep. 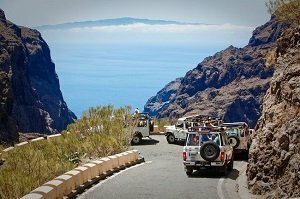 Transfers from specified locations in South Tenerife. In general, travelers that took part in the activity had a great time. Some of them said that they have seen a lot of Tenerife Island. The day trip is suitable for children and grown-ups alike. It is the right thing to do if you like to know the destination and appreciate the natural beauty. 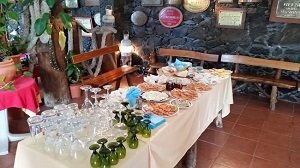 A day trip to La Gomera Island from Tenerife. Exploration of diverse landscapes of this beautiful island. The day trip adds lunch that people enjoy while being at a viewpoint. Take a boat ride between the islands. Take a tour of preserved areas featuring big natural beauty. Have a look at breathtaking landscapes while having lunch. Trip between the islands on board a ferry. Lunch scheduled at one of viewpoints revealing spectacular vistas. People that took part in the day trip have a high opinion of the tour, in general. 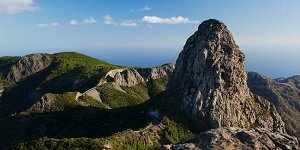 They state that La Gomera Island and its mountains are beautiful. This tour caters to all ages and people with different interests. 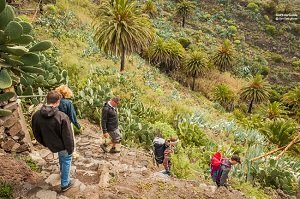 People inclined toward the preserved and gorgeous nature enjoy the tour of La Gomera the most, however. A full-day tour of the diverse island of Tenerife. The route covers various regions, environments, places and attractions. Explore different places and see highlights of Tenerife. Take photos from various vantage points around the island. Build up your knowledge that will serve you well during your stay on the island. The company of a passionate guide. Available comments lead to the belief that the tour offers a great value for the defined price. Travelers appreciate the effort of tour guides and the provided information about the island. You will enjoy the tour if knowing the destination you visit is among your priorities. The day trip is suitable for all ages. An extraordinary opportunity to admire the night sky. A great experience that is not hindered by lights and pollution. A romantic experience spiced up with dinner. 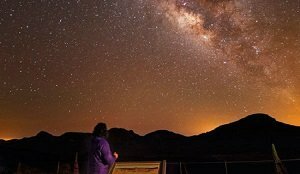 Examine the night sky over the Canary Islands. Benefit of an assistance of the tour guide. Have a dinner in the highest village in Spain. Dinner at a traditional restaurant in Vilaflor. Transfer to Mount Teide for stargazing activities. Most participants have enjoyed this stargazing, dining and wine-sampling tour. They also appreciated the assistance of the guide while spending time on Mount Teide. This tour is suitable for people of different ages. Also, taking the activity is the right thing for romantics and gourmands. A visit to the thermal spa that is great for relaxing and improving your health. The facility that offers various services to its customers, such as massages. The complex combines Turkish Baths, Jacuzzis, pools and many other facilities. Relax in whirlpools, Temple of Showers and other stress-relieving facilities. Access to 18 zones of the thermal spa. Travelers have a high opinion about the cleanness and the quality of service. A visit to the Thermal Spa is ideal for anyone having some health issues. It also offers stress-relief treatments. 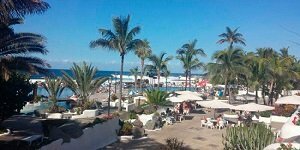 This is a transfer to Puerto de la Cruz from tourist resorts in South Tenerife. Apart from traveling times, several hours are left to travelers to explore the city. Travel north from your resort to Puerto de la Cruz. Explore attractions of the city and enjoy attractive shopping. The price includes transfer services to and from Puerto de la Cruz. In general, people that booked the transfer state that enough time is available for exploring the city. An excursion to Puerto de la Cruz is a right thing to do if you would like to explore the city and have some shopping. It is an introductory tour of Puerto de la Cruz in a fun manner. 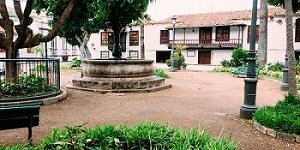 The route covers top attractions, beaches and monuments of this city in North Tenerife. Explore the city efficiently and have fun along the way. If you don't already know, learn to ride a Segway. A quick introductory lesson about riding a Segway. Exploring the city with the certified guide. 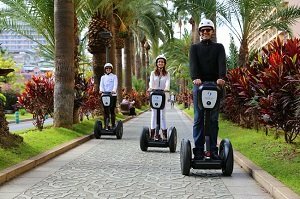 They state that getting around Puerto de la Cruz by Segway is both educational and entertaining. This is a perfect introduction of the city if you don't have much time. The tour is suitable for children and adults. 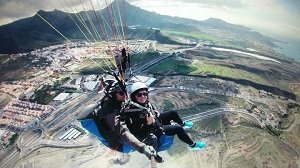 Gliding above the island and observing Tenerife from the bird's perspective. A flight some 750 meters above the ground. Examine the island from a quite different perspective than you got used to. See diverse landscapes of the island. Enjoy Tandem Paragliding with your instructor. See rock formations, ravines and the blue infinity of the Atlantic Ocean. 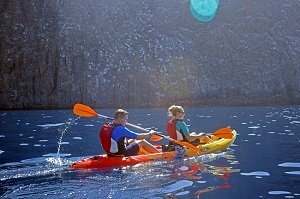 An outdoor activity that combines kayaking and snorkeling. A visit to the spot where you will have an opportunity to examine turtles, rays and other sea life from a close distance. Kayak along the coastline of Tenerife to the place for snorkeling accessible only from the sea. Snorkel in an area featuring rich marine life and beautiful seabed. Necessary equipment for snorkeling and kayaking. Travelers were enthusiastic about this outdoor activity. They enjoyed observing the sea life from close distance. This activity is ideal for everyone. It combines an exceptional underwater experience and water sports. Transfers from the southern part of Tenerife Island. In general, they strongly recommend taking this day trip to El Hierro Island. If you believe that you have seen everything, book this tour to prove yourself wrong. The trip to El Hierro is especially popular among naturalists and photographers.